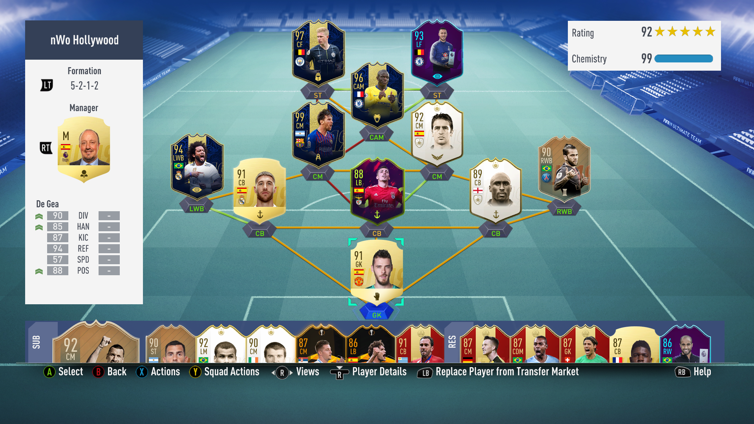 CR pissed me off this weekend so, this squad will work? Any changes? Butra untradable. 41212(2) and 4231 ig. There's literally no point in putting Butragueno at CM and Pogba at ST. It makes no difference. **** hell. Lol why not Kante in Cm and Pogba Cam? Because George is in there? It even works in 433 (4) which would play perfectly fine in game. But yeah just throw everything in 451 with a ST at CM and vice versa because that's what the cool kids do. How’s Ibra at CDM ? That is a sensational team. Play 433(4) in game with Di Maria Zlatan Mbappe up top. Vieira is amazing, but I feel he's not worth all my coins, even though he's the best defensive mid I've played with. Don't know what to change though. @mcraven maybe Neymar instead of Di amaria? True, but price I guess. 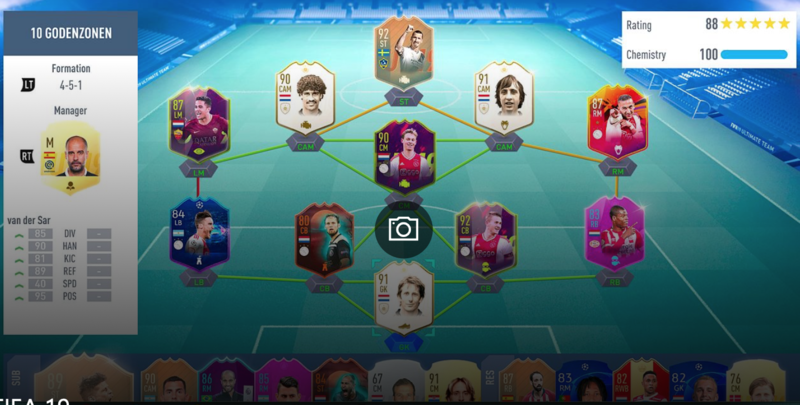 Sooo many 451's with 2 legends in cam. 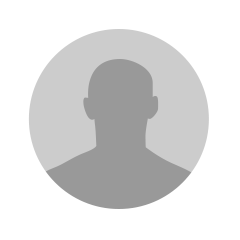 Play any of 4312, 433-4, 41212 and 4411 in game. 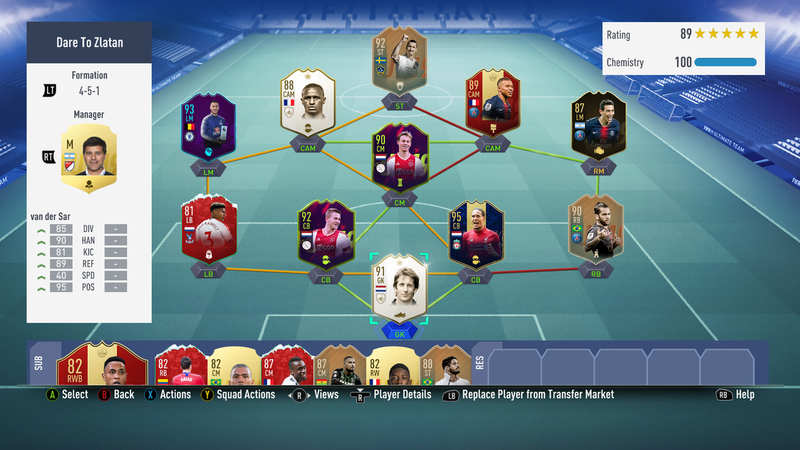 I am thinking about selling Vieira and getting 91 Cruyff, but it's very hard to get everyone I have in one team without it being unbalanced. I was thinking of FS Mendy, FS Militao and 85 Seedorf. I find him too stiff.. Waiting for a Lothar or Socrates SBC to put him in too! Just picked up Juan Jesus with the SB Rewards, hope he works out! Not a massive fan of Donnarumma, seems to let in a few easier shots - will probably replace him with Handanovic again soon enough. 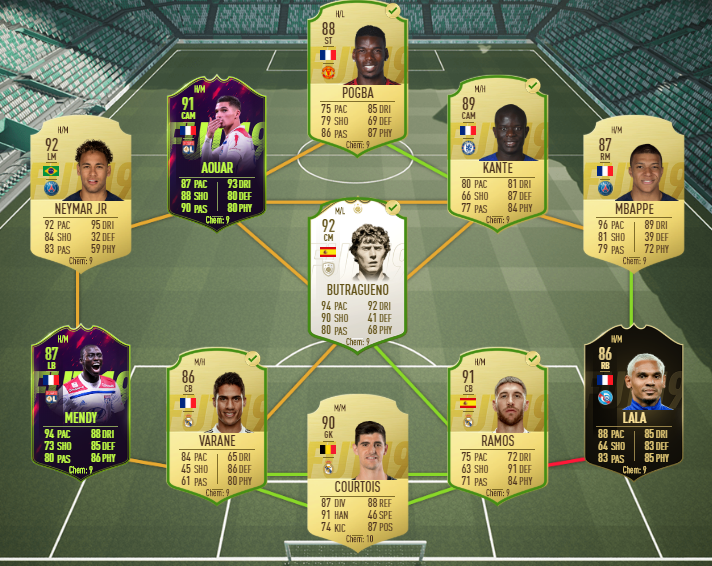 I wish Serie A had a better pure CDM, Matuidi is fine but just lacks a little something. 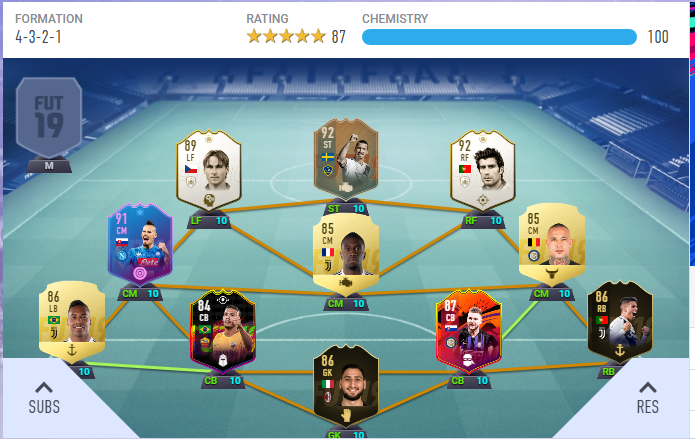 Flashback De Rossi would be ideal, besides that I have 700k to upgrade, maybe FS Bentacur for Naingollan or upgrade Alex Sandro..